In the morning, meet and greet at your hotel. We will leave Bangkok behind us and drive in the direction of Kanchanaburi. Your destination for today is Elephant’s World. Elephant world was founded in 2008, as a sanctuary for sick, old, disabled, abused, illegal and street elephants, who will receive the rest and joy that they deserve. You will meet the elephants and have the opportunity to prepare food and feed them. After lunch you will plant food for them, like banana trees and sugar cane. 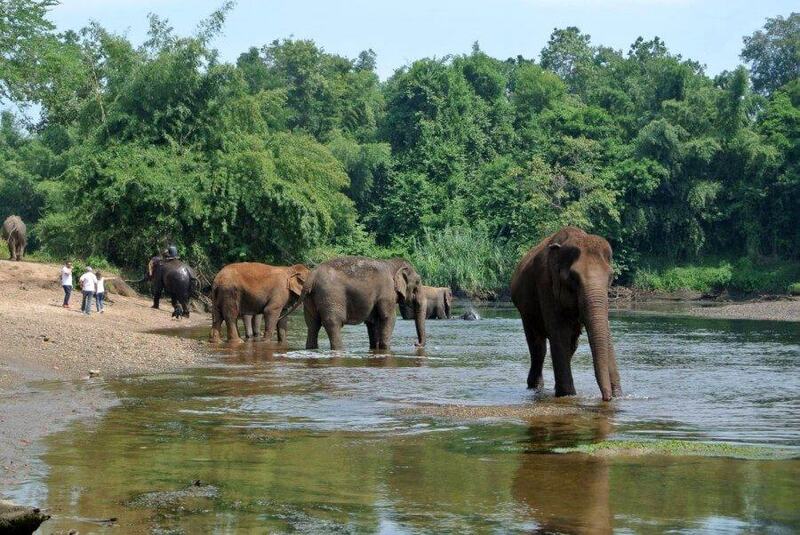 Then it’s time for the highlight of the tour: take the elephants to the river and bath/scrub them. They will love it! After this great experience it’s time to say goodbye and go back to Bangkok.